A look at football outside the media focused Europe, as we delve into continental competition in Asia and South America. Football at times can be very European centered, none more so than during a Champions League week. Well that wasn’t the only Champions League football that has been played this week; the Asian Champions League began, so this is where we shall start. Holders Guangzhou Evergrande began their defence of the trophy with a 4-2 win over Melbourne Victory. Former West Ham United striker Alessandro Diamanti scored a hat-trick on his debut for the Chinese side. He made more of a splash than Cerezo Osaka’s new signing, but we will speak of him later on. There were no real surprises in the opening games of this season’s tournament, with most clubs seemingly happy to settle for a point. Clubs to watch for in this season’s tournament include the holders Guangzhou, last season runners up FC Seoul, Jeonbuk Motors and Al Hilal. Sanfreece Hiroshima will be hoping for a better showing in the tournament this year round, and should have aspirations of at the very least reaching the second round, whilst Japanese play-maker Shunsuke Nakamura will be hoping to inspire Yokohama F Marinos. Defending champions Sanfreece will be looking to make it a triple crown this season, as they have won the last two editions of the league. It will also be the first time since the J.League began that Jubilo Iwata will not be present, following their relegation to J2. Omiya Ardija will be hoping for a much improved showing this season following their utterly dismal slump in the second half of last year. Atop the league at the midway stage with 36 points, they managed to gain only a further nine points. Much will be expected of Cerezo youngster Yoichiro Kakitani in this World Cup year, as they look to improve on their fourth place finish. But the biggest news for the J.League was the signing of Uruguayan star Diego Forlan. Having left Internacional in Brazil, the World Cup 2010 golden ball winner, will now ply his trade in Osaka. It’s an important year for Cerezo, as city rivals Gamba are back following promotion from the J2; Cerezo will want to preform better than Yashuito Endo and his teammates. Two games in, for most teams, the Copa Libertadores is the premier competition for South American sides. Current holders Atletico Miniero began their defence with a 1-0 victory over Zamora of Venezuela. With Ronaldinho staying on at the club, they will amongst the favourites though, one really does doubt whether they have the squad to win back-to-back Copas. If they do they will be the first team since Boca Juniors in 2000 and 2001 to have won the Copa in succession. It’s always difficult to pick out who will win the Copa, as the teams can change so drastically, thanks to the summer transfer windows, but teams that one would expect to be in the final reckoning, usually come from the dominant Argentina or Brazil, so I fully expect to see a club from either nation. That being said, challenges will be made from clubs of Columbia, Uruguay and Paraguay. The next round of games are on the 11th, 12th and 13th March. Remember if you feel we missed anything out please don’t hesitate to comment at the bottom. 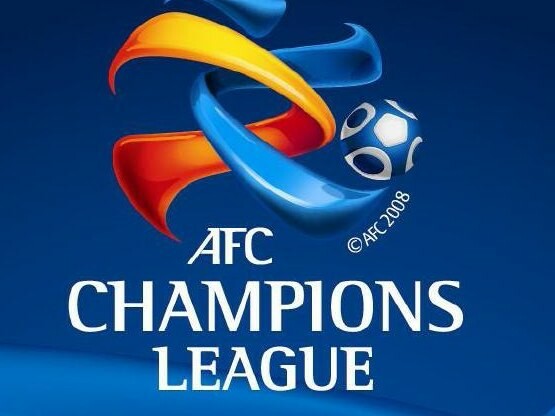 Whilst the majority of the World will most likely be engrossed in UEFA Champions League action, it would be amiss of us not to mention that today is actually the second leg of the AFC Champions League semi finals. With all four clubs of different nationality, it is in stark contrast to the UCL semi’s off last season. Guangzhou Evergrande of China and FC Seoul of South Korea enter their ties with leads of 4-1 and 2-0 respectively. Kasiwha Reysol of Japan have a daunting task of overhauling a three goal deficit, whilst Esteghlal will need to score at least twice to get back into the game. Three out of the previous four winners have been South Korean and FC Seoul will be hoping to make it four in five. The last Japanese side to win the tournament was a Yasuhito Endo inspired Gamba Osaka in 2008, and Reysol will be hoping to emulate that side, being 4-1 down though, it looks increasingly unlikely. Marcello Lippi’s Guangzhou Evergrande are bidding to be the first Chinese winners since Liaoning in 1989/90, when it was in its old format, the Asian Club Championship. Tehran were the last of the Iranian sides to win the continental competition, again in the old format. Esteghlal last won the competition in 1990/91. The 2nd leg’s should be enthralling matches and we shall report on who makes it to the finals.